‘제주시청(Jeju City Hall)’ is marked at the right side of the map. With a population of around 450K, Jeju city is 1/22 size of the Seoul Metropolis. But still, most of the youngsters and university students living in Jeju come to Jeju City Hall area to enjoy the night. To see the hustle-bustle of youngsters, come visit here on Friday or Saturday night and see how locals have fun! 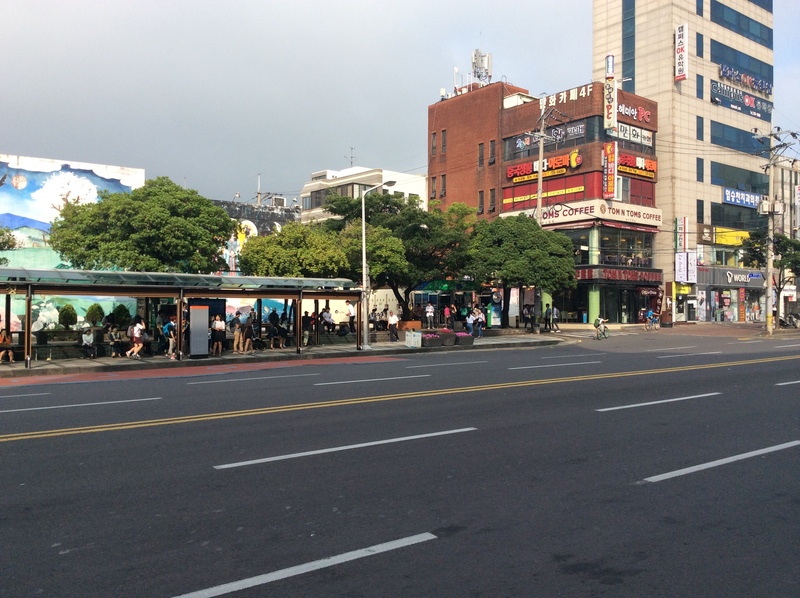 Most of the Intra-city buses in Jeju pass through Jeju City Hall bus stop. This place is always crowded with people who want to transfer to other Jeju buses. Cafe street at the opposite side of the city hall, crowded on weekends. 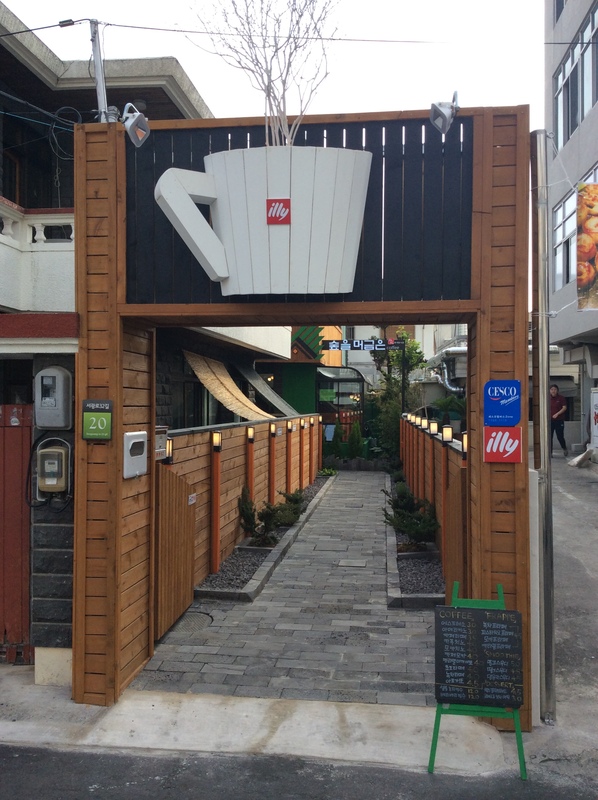 Coffee shop titled ‘숲을머금은(Taste of a Forest).’ Cozy inside! 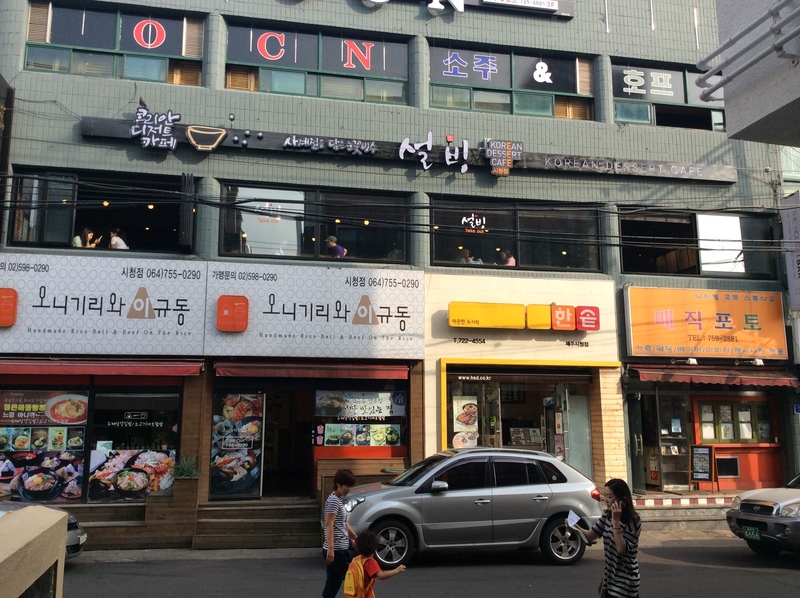 Korean Dessert Cafe ‘Sul-Bing’ could be seen on the 2nd floor. Tasty bing-soo costs around $6-10. 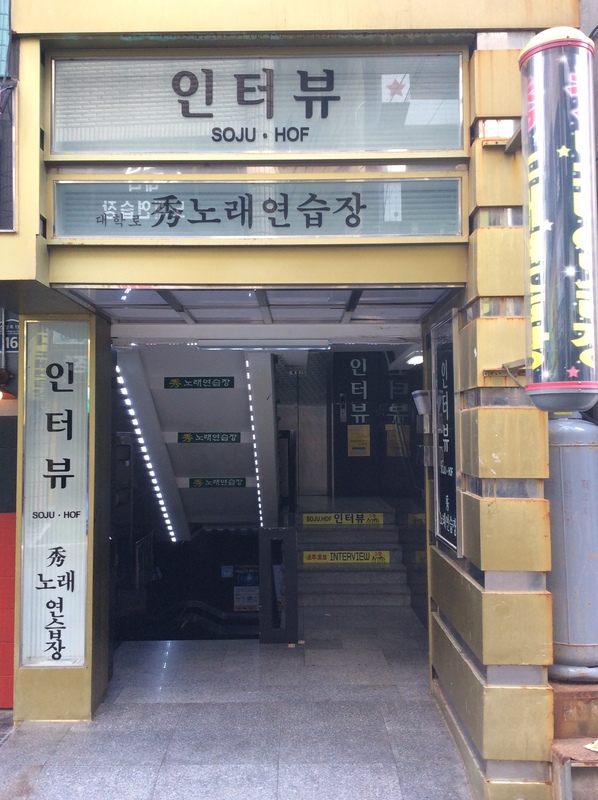 ‘수노래연습장(Soo Karaoke)’ at the cafe street. Nice facilities made this place famous among numerous karaokes. For $20, anyone can sing out loud.! Downtown city hall area seen from the roadside near city hall. 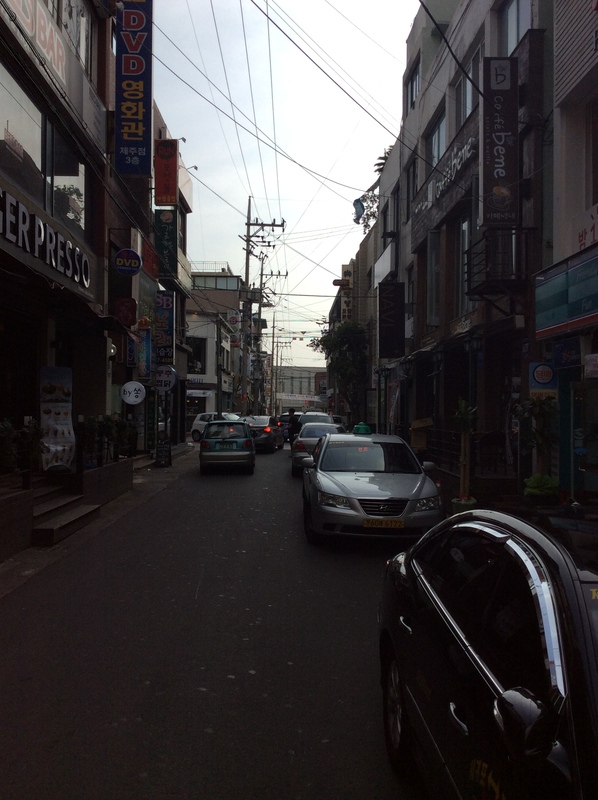 Buses on the right side will take you to wherever in the Jeju City except outskirts. City hall area has long been a lively rendezvous for the youngsters. 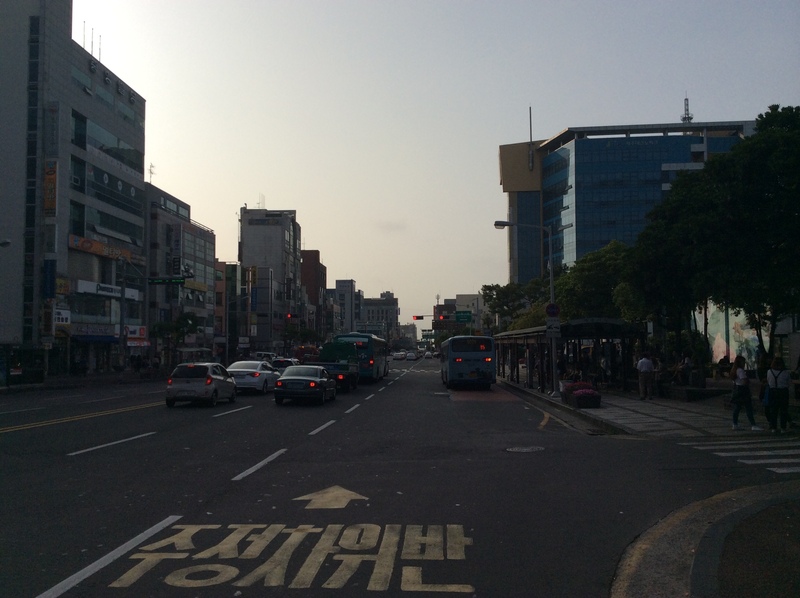 Before the Sinjeju area was developed, most of the young people tend to say ‘meet me at the bus stop near the city hall!’ Although the place has lost a bit of its fame after the development of Sinjeju, but Gujeju still holds its own charm. Come and feel how the locals enjoy themselves at night yourself! Taxi fare will always be under $10 if you stay inside the Jejucity even after the midnight, so don’t worry about getting too late or missing a bus while boozing up!